When it comes to the Chinese company Koogeek, it is unquestionable that they have a section of quite striking options, which are coupled in a fantastic way to our homes, one of the best examples being the Koogeek Smart Plug, a device that allows us to automate our daily life, although the protagonist of today is presented as an interesting choice, that is why we will focus on the Koogeek 6.6ft 60 LED Strip, a smart light strip that will enlight our environment, but best of all is its incredible discount, so we invite you to stay with us and enjoy it. 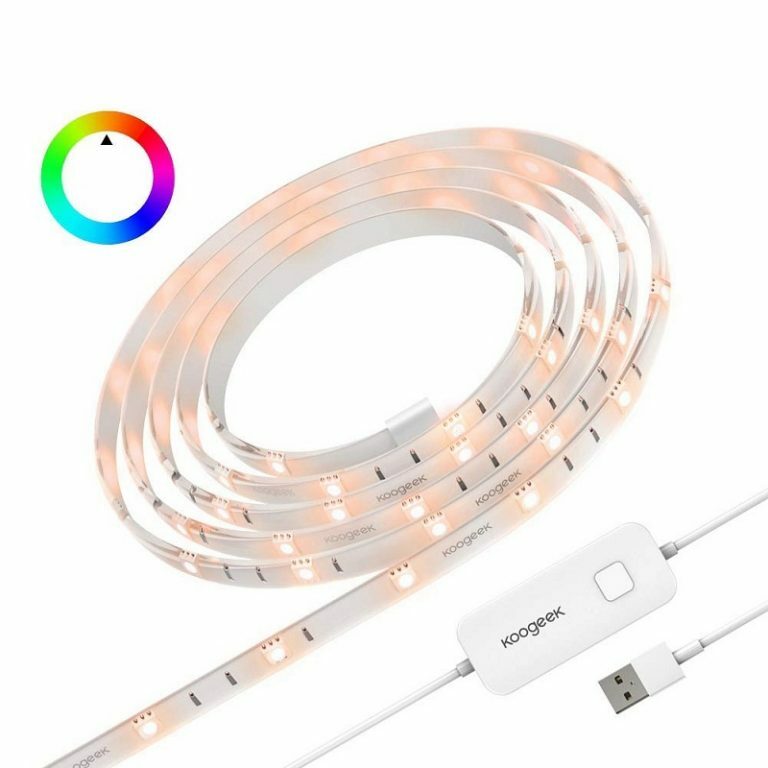 The Koogeek 6.6ft 60 LED Strip has a minimalist design, which stands out for its natural white color, which allows it to harmonize exceptionally with the environment. On the other hand, it has a maximum length of 2 meters and thanks to this, we can comfortably decorate the space we want. Finally, at one end we will find a USB connection and this will serve to light our strip light. 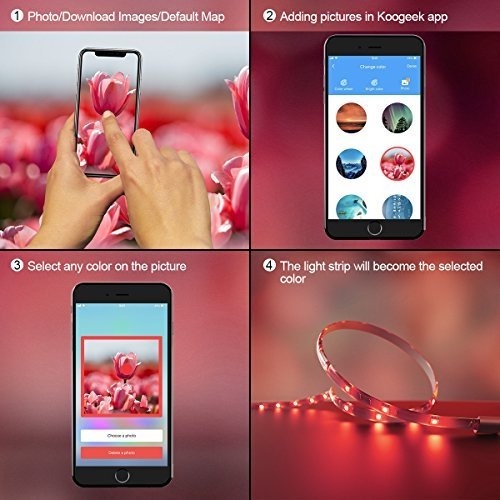 The Koogeek 6.6ft 60 LED Strip can be synchronized with our Smartphones through the Koogeek app, which we will download from the Google Play store or the Apple Store, so it will be compatible with both Android and iOS operating systems. Once synchronized we will access new functions, such as the remote control of our light strip, which will allow us to give any command remotely. Another interesting point is the recognition of colors, since we can upload any photo to the application and it will automatically detect the most outstanding color and illuminate with that same hue. The Koogeek 6.6ft 60 LED Strip offers 160 million colors and the best thing about this, is that we can regulate the intensity of them through the application of Koogeek, so we will enjoy a unique atmosphere whenever we want. 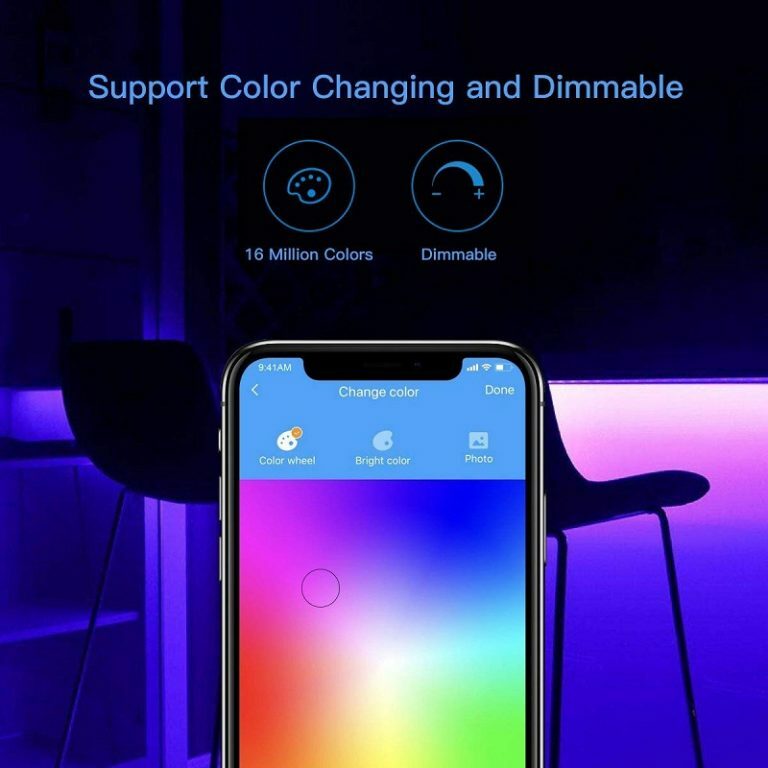 On the other hand, we must mention that we have the option to program the on and off of our light strip, indicating exactly the color that will apply and the intensity we choose. 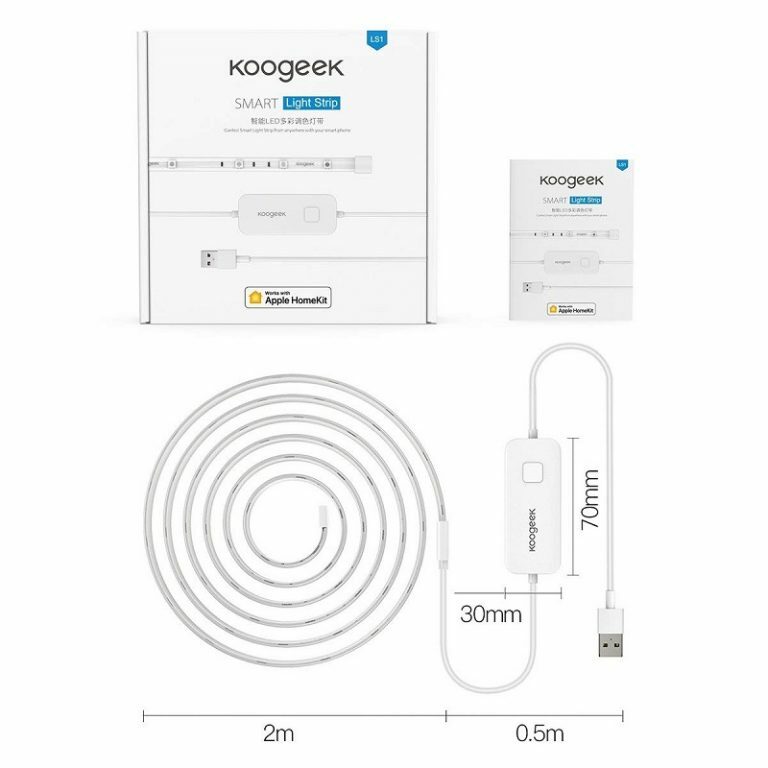 The Koogeek 6.6ft 60 LED Strip is extremely easy to install since it has a sticky design that will be compatible with flat, clean and dry surfaces. The only thing we must do is remove the protective paper that is located on the back, giving us the opportunity to place it where we like, even outside our homes as long as it does not get wet directly, as it has a certificate IP65, being resistant to both dust and splashing water. 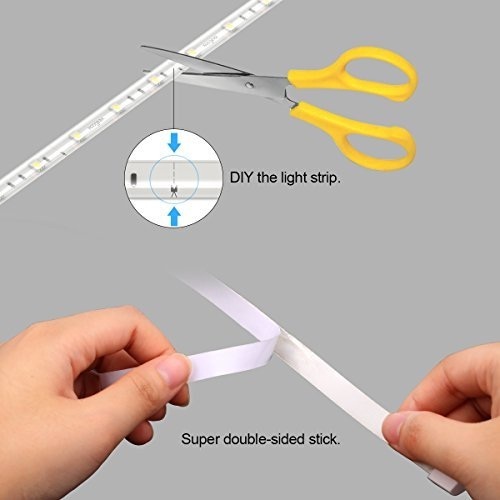 Finally, this luminous strip has a useful life of 25 thousand hours, the equivalent of 34 months. Xiaomi Ireland officially arrives with great products!